With January safely behind us, surely we have seen the worst of the cold dreary weather and can look forward to spring just around the corner? Maybe, but probably not! 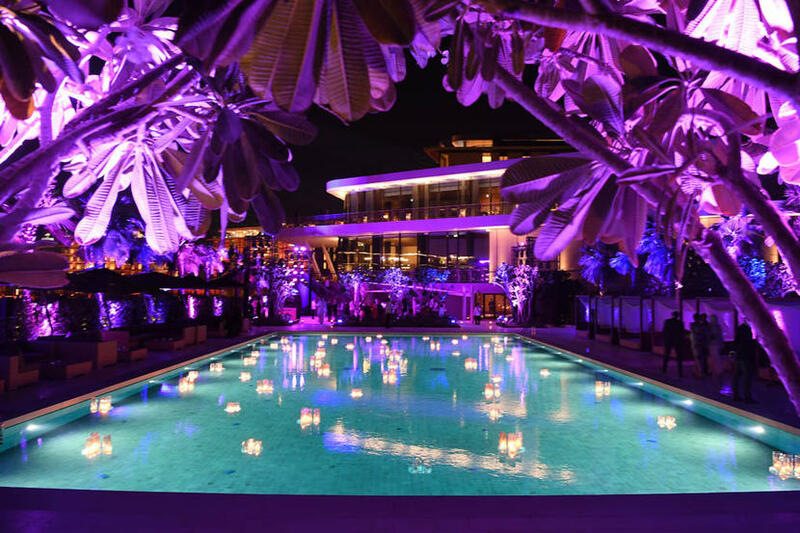 So in order to lift and heat up our spirits, Aquabatix has consulted its little black book of the most glamorous swimming pools in the Middle East and put together a shortlist of incredible venues for your holiday or party destination. Where glamour and luxury go hand in hand, these swimming pools invite you to swim by day and sip cocktails overlooking the moonlit waters by night. When swimming pools look this good, maybe you should leave the splashing around to the entertainment. Dubai’s most iconic 7 star hotel launched The Terrace in front of Sheikh Mohammed Bin Rashid in 2016. 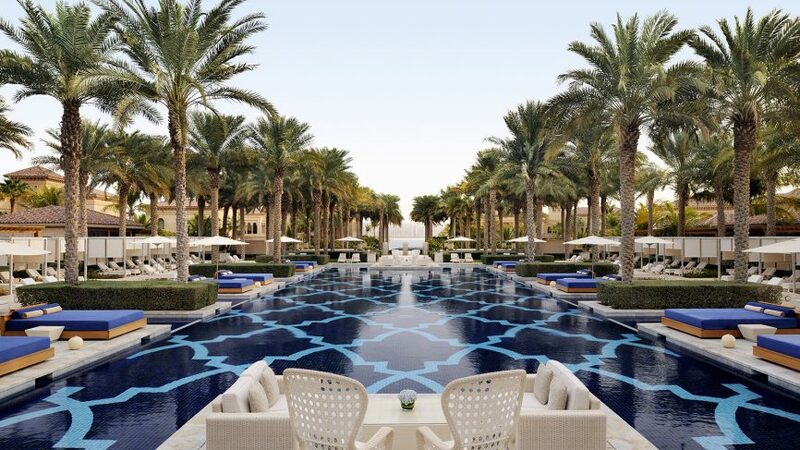 The two pools float on top of the warm waters of the Arabian Gulf, along with restaurants and a private beach area. There is a private members club on site plus the venue is hired out for events and parties to the jet set. It doesn’t get more glamorous than here. Fashion and glamour in a modern Oasis. An architectural triumph acting as the centrepiece of Yas Island, Yas Viceroy Abu Dhabi hovers over land and water and spans the Yas Marina Circuit, the favoured racetrack for Formula 1™ legends. With two rooftop, glamorous swimming pools, you are spoilt for choice for a daytime swim or an evening sun downer with incredible views at every turn. Bringing together a fusion of contemporary design and distinct architectural features, Jumeirah Creekside Hotel is an intimate, luxurious five-star hotel, offering an authentic cultural experience through the hotel’s Middle Eastern Contemporary Art Collection. Cu-ba Pool, located on the 8th floor at Cu-ba rooftop, offers amazing views of the city skyline. Cu-ba boasts a 25-metre lap pool with the unique feature of its glass seen-through edge, from which swimmers can have a look down into the hotel’s lobby. Aquabatix has kick started the party a number of times with a performance in this iconic and glamorous swimming pools. 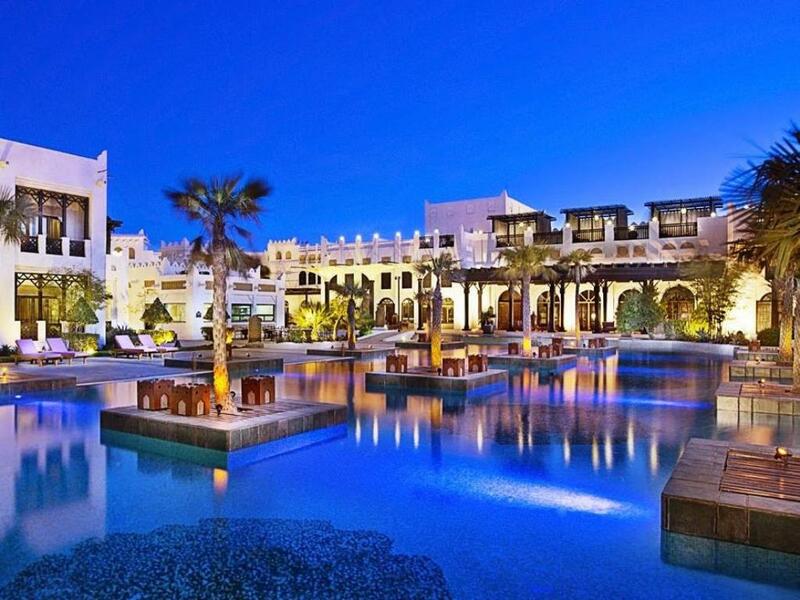 Seamlessly fusing the contemporary with the traditional, Sharq Village & Spa sits on the coastline of Qatar’s capital, overlooking Doha Bay. Resembling a traditional village, the luxury villas of this elegant beach resort provide all the amenities for an exclusive vacation. The beautifully lit glamorous swimming pool is as appealing at night as it is in the day so be prepared to be pool ready at all times. Boasting a 850sq m swimming pool and air-conditioned cabanas, this is the perfect location for any glamorous day to night (to day…) party. 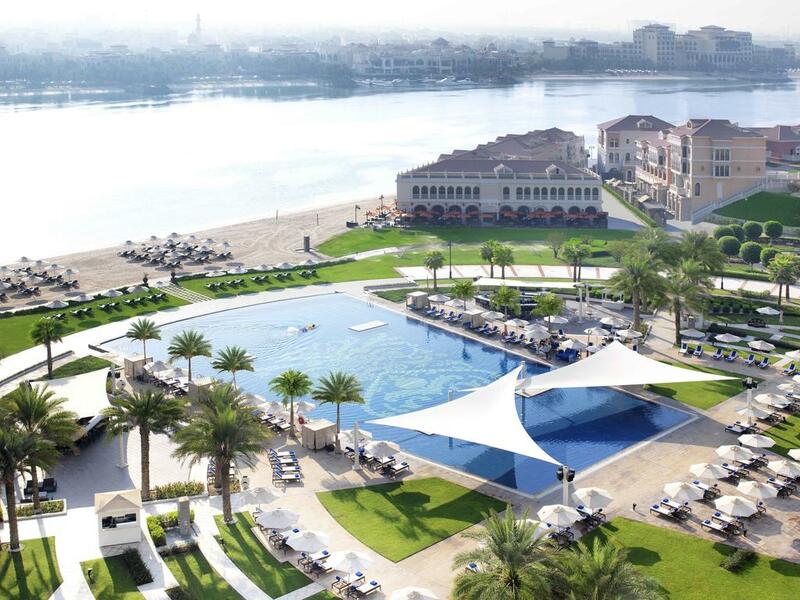 A luxury resort overlooking Abu Dhabi’s Grand Mosque. 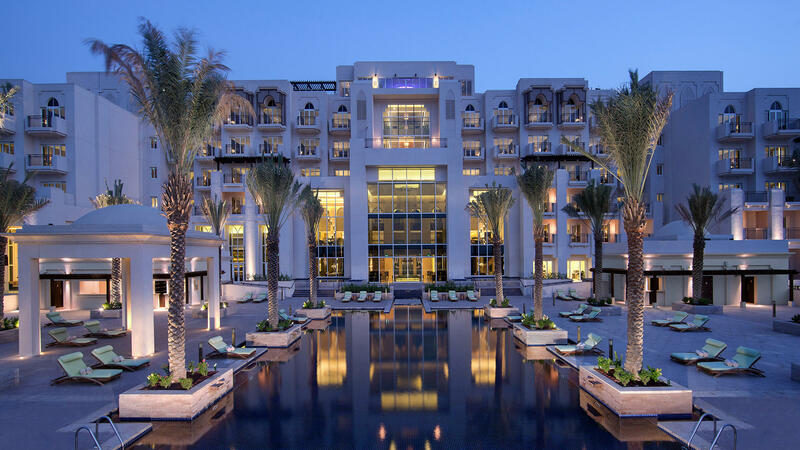 Minutes from Abu Dhabi’s vibrant city center, guests are transported to a place where the grand architecture of the Italian Renaissance blends beautifully with the traditions of the Middle East. If you fancy a cooling dip, or simply to relax by the pool with a cocktail in hand, the sprawling 1,600sq m outdoor pool won’t disappoint. Majestically set on the waterfront, Eastern Mangroves Hotel & Spa by Anantara is a natural haven on the cusp of urban life. Forming part of an integrated hotel, marina, retail and residential destination, its unique location offers guests an exceptional Abu Dhabi experience. One must look ones best by day or by night at this glamorous poolside location. Voted the best new luxury hotel in 2017, The Bulgari Resort & Residences Dubai adds a new jewel to the brand luxury hospitality collection. Situated on the exclusive, manmade Jumeira Bay, an island carved into the shape of a seahorse and adjoined by a 300m bridge to central Dubai coastline, the sunny property is a true ‘urban oasis,’ for visitors and residents alike. These glamorous swimming pools lights up the night and are the perfect location for a pool party. Imagine sipping champagne and whilst being entertained by an incredible synchronised swimming performance.